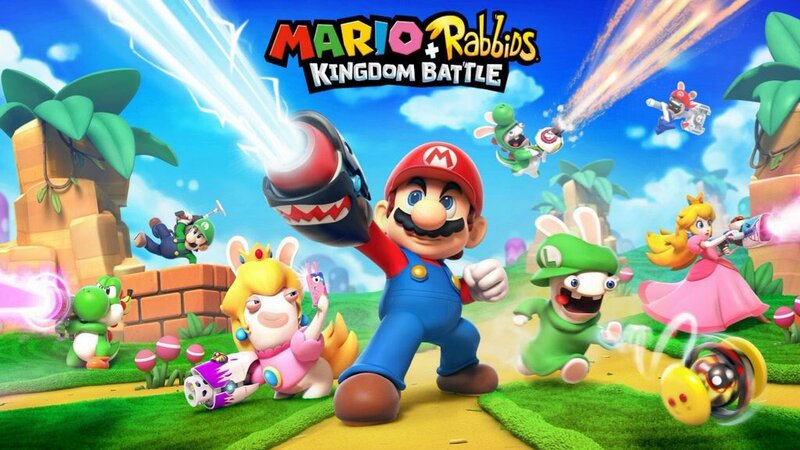 Mario + Rabbids Kingdom Battle just had its one year anniversary. To celebrate, Ubisoft has shared a number of statistics, including the most picked roster, enemies defeated, more. Year 1 – Thank you for joining us on this journey, it was quite a unique one for us as well! Mario is the ultimate team leader and it seems most of you guys have decided to make him team up with Rabbid Peach and Yoshi at the end of the game… but is that your favorite roster to play with? If you feel you may have a better compo in mind, we’re interested to read you in the comments! The Mushroom Kingdom is favourite place of the enemies to hang out: Ziggies are the most common ones and all of you defeated a total of 307 millions of them. Hoppers hold the second position: they have more health points which make them very hard to defeat without the right team compo and weapons… yeah, they’re definitely not called pinheads for nothing! The Smashers are met later in the adventure but they’ll be chasing you every time you shoot at them – giving you a great satisfaction to wipe them out of the battlefield! Last but not least, if you’re coming after the Valkyries, teaser alert, you better be ready for the challenge. Congratulations on winning against so many of the toughest challengers there are! Beep-o has been leading the way for you and your heroes through the whole world, giving you to travel 674 million kilometers – let’s agree on the fact that you’ve done your daily exercise for the next few centuries. Who would’ve thought that you poured so much honey in the mushroom kingdom? Equipped with your weapon, honey has prevented a lot of your enemies to move, enough to fill up to more than 10 000 Time Washing Machines and turn Rabbids into permanent residents and, you know what? Bowser thanks you for that! We’ve been impressed to find out you guys were really going after gold trophies and we even have a special mention for the few players who managed to make a perfect run and finish every battle with a gold trophy – you are absolute champs!